Amazing Phuket! Get ready to fall in love with this delightful island offering anything you could ever want from a seaside town. There are clean beaches with unique vibes of its own, renowned temples, alluring Sino-Portuguese architecture, unique local dishes and cool cafe dotted around. Because life is a journey, get ready to explore with GrabWander, a special campaign where we introduce various attractions for you to check out. 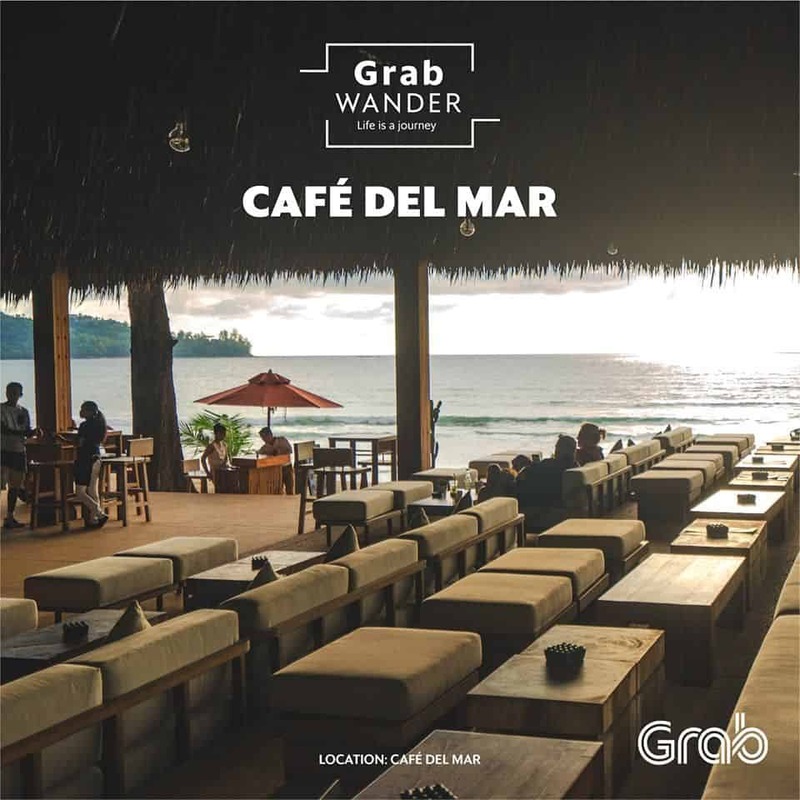 Don’t forget that you can also get around in Phuket without a hassle simply by using Grab! Applicable with Rent in Phuket only. This limited-redemption offer is valid until 31 Dec 2019 only. The cool breeze is finally here. What could be more splendid than spending your day (and night! 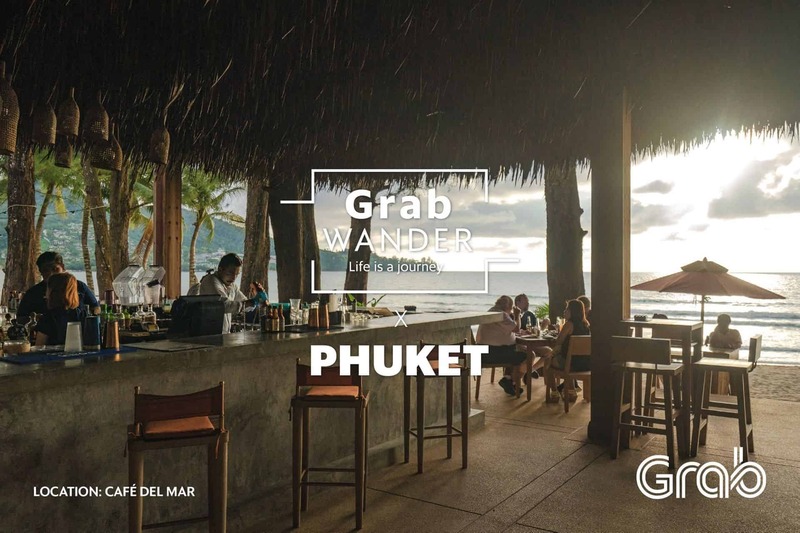 ), taking in the perfect weather while taking a sip of your favorite drinks at one of the most beautiful beaches in Phuket? Give yourself a treat at Café del Mar, the Ibiza-hailed hangout spot on Kamala Beach. Opening from 11 am until midnight (and 2 am on Friday and Saturday), this friendly bar let you enjoy delicious bites alongside refreshing cocktails, craft beers and more. Spend your day lounging by the pool before heading out to the beach for an excellent sunset dinner. After your fun in the sun, don’t forget to step up your game for a more upbeat night showing off your best grooves. Welcome to the super-stylish paradise! 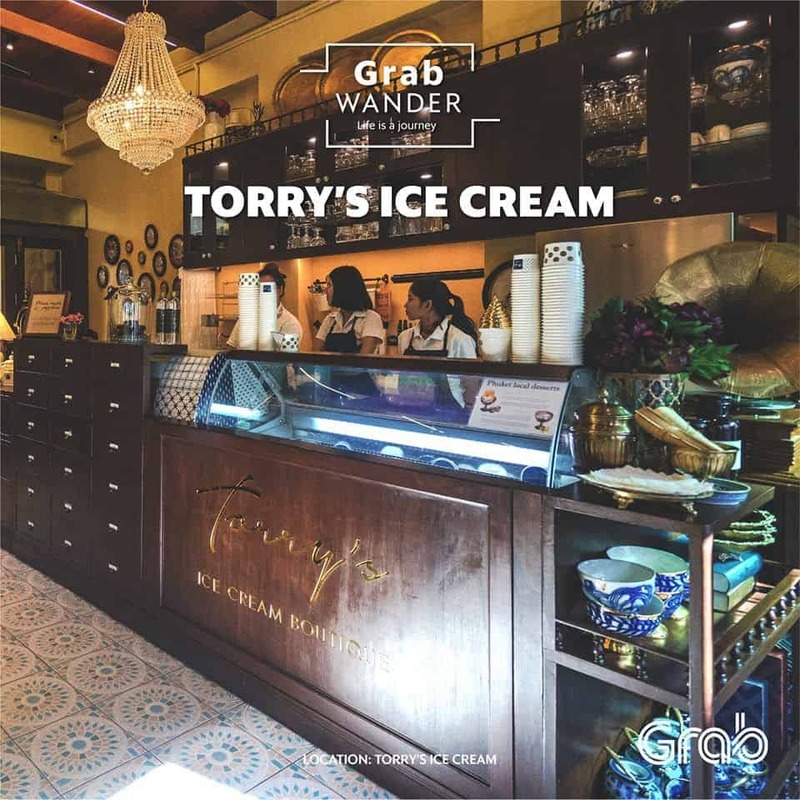 Come on in for an unforgettable experience at Torry’s Ice Cream, Phuket Old Town’s boutique ice cream shop that offers a perfect combination of modern classic flavors and interior design. Don’t ignore your dessert cravings when that sweet tooth calls for Torry’s Ice Cream! Enjoy more than 70 flavors prepared from the finest ingredients and free from any artificial colorings. The must-try creations here are inspired by traditional desserts of Phuket: A-pong (coconut milk ice cream with crispy A-pong flakes), and Bi Co Moi (coconut milk with butterfly pea ice cream served with sweet black sticky rice). The highlights also include Phuket pineapple, O-aew, watermelon, black sesame, Irish coffee, whisky, and Mojito, as well as Macaroon ice cream where you can mix and match the flavors. Aside from beautiful beaches and hip cafés, Phuket is also home to Chalong Temple, the province’s largest and most renowned temple. The history that makes Chalong Temple or Chaitararam Temple the most prominent were dated back to the time of Luang Phor Cham, who helped the locals defeat the Chinese in the 1876 Angyee Rebellion. The next abbots after him were also masters of eastern medicine and healing herbs, making this temple a sacred place where Buddhists come to pray for good health and cures of any symptoms. Standing out from the rest of the temple ground is the revered and breath-taking beauty Grand Pagoda, where Lord Buddha’s relics from Sri Lanka is kept. Step in and be in awe by the delicate Jataka wall paintings as well as panoramic view of the town. Looking for a quiet yet fulfilling day? Come to Bookhemian and experience just that! Step inside and you’ll feel like you’re in another world. Bookhemian offers peaceful and cozy vibes, the best destination for book lovers to get lost in the world of their favorite titles by browsing from a number of books, ranging from new, used, to those from self-published authors. As the name in Thai suggests, this place is also an independent cinema house that occasionally screens selected indie films, and acts as an ‘art space’ gallery showcasing local and established artists’ work. To top it off, Bookhemian boasts a wonderful range of gourmet coffees and pastries, inviting anyone to wander in for a perfect day. 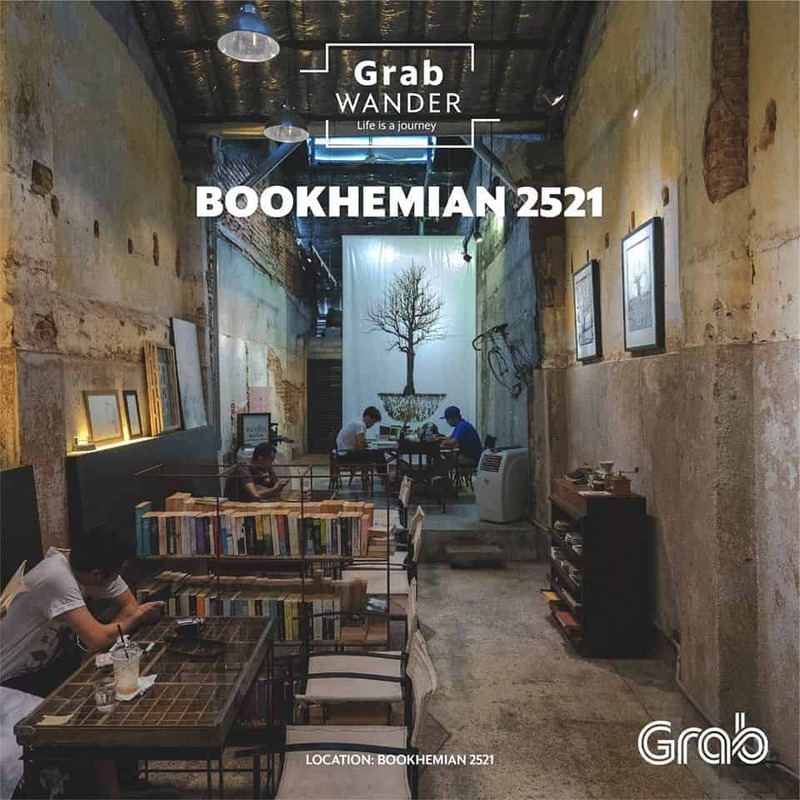 So come by and be inspired at Bookhemian, located on Thalang Road. It’s time to fall for the charms of Phuket’s Old Town. Get your camera ready to capture the beauty of this picturesque scene; where the colorful, Sino-Portuguese architecture and the neat graffiti walls are amazing backdrops to hip cafés, local restaurants, knickknack shops, herb shops, small museums and guesthouses. Don’t forget to drop by Thalang Road, the area’s main street that will be transformed into a walking street buzzing with stalls selling souvenirs, handmade products, clothes, and foods enveloped by the charisma of the historic town.